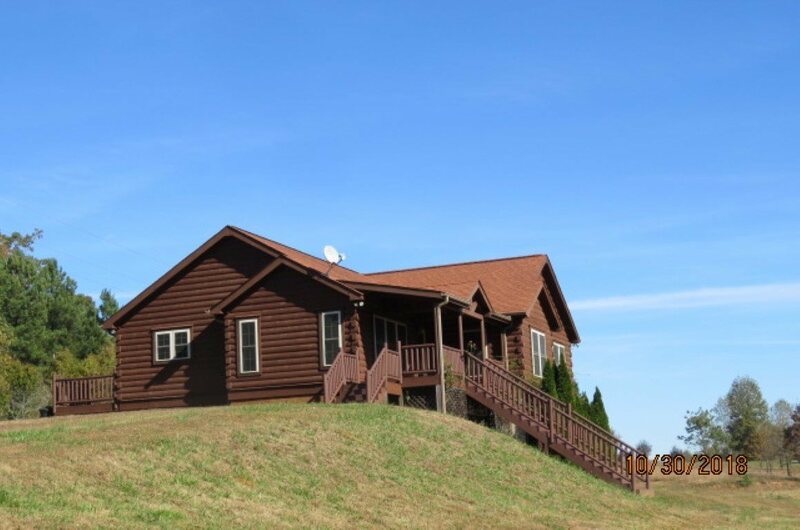 Blue Ridge Log Home on 5.38 acres. Large open living, dining and kitchen. Nice deck off kitchen. Beautiful wood floors and wood ceilings. 6x9 pantry. Master bedroom with nice walk in closet, master bath and exit to back deck. Laundry area close to bedrooms. Office has it&apos;s own outside entrance. Nice covered front porch and large back deck. Plenty of storage in tall crawl space and floored attic. Three separate pastures fenced with ElectroBraid horse fencing and hotwire. 3 stall run in shed plus pony stall. Exterior of home had weather preserver and stain done in 2017. Short 10 minute drive to Tryon International Equestrian Center.